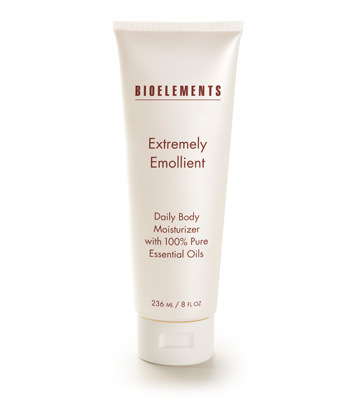 I absolutely just LOVE Bioelements Extremely Emollient Body Creme! It has been my lotion of choice for years. Not greasy, yet very moisturizing. Very fresh scent. I even use on my face. Highly recommend!